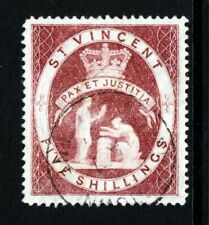 St Vincent EDVII 1909 set MM, condition a little mixed. A FINE UNMOUNTED MINT SHEET. 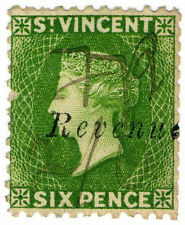 St Vincent Revenue. Duty Stamp. Here are the details for this lot. Line by turret type variety, not the SG listed variety. Mint hinged, see scans. This will only change when heavier or odd sized lots are bought or when, in. Lots are sent out within approx. All lots are sold as described. Grenadines of St Vincent. in good condition. ST VINCENT. ANY PROBLEMS WILL BE AN HONEST MISTAKE AND I AM HAPPY TO RESOLVE IT! ST Vincent stamps used some hinged. Dispatched with Royal Mail 1st Class Letter. Year of issue: 1888. Occasionally we all make mistakes, and if we do we fix it. Condition: Mint Hinged. Newly Listed/New Arrivals. Commonwealth & Empire. Collections & Mixtures. Here is a mint never been hinged set from St Vincent from 1966 titled W.H.O. world headquarters Office. Here is a superb mint never been hinged set from St Vincent of 1974 titled Easter. Here is a mint never been hinged set from St Vincent of 1985 titled Christmas. 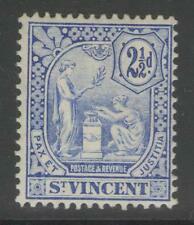 St Vincent 1907-08 set to 3d, SG 94-98. Mounted mint. Catallgue vaoue £50 . We will invoice you with the correct amount. St Vincent. in good condition. St Vincent QEII 1955-63 Definitive set SG 189-200 (12) Fine Used plus Coronation set (1) SG 188. Year of issue: 1871. Grade: Fine. Newly Listed/New Arrivals. Commonwealth & Empire. Collections & Mixtures. Era: Queen Victoria (1837-1901). I do combine fees to lower them as much as possible. If it is an error on my part (don't like making mistakes but I do), I will admit to this and again do my best to work it out with you. Rest of the World International Signed For £7.